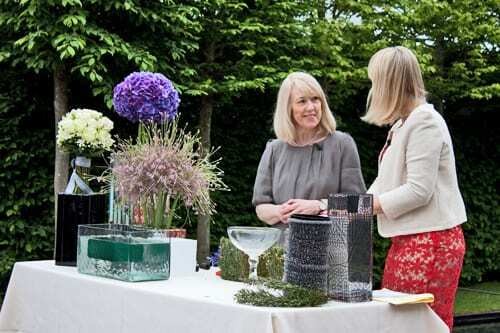 Earlier, I featured images of The Covent Garden Academy of Flowers‘s stand at the RHS Chelsea Flower Show. 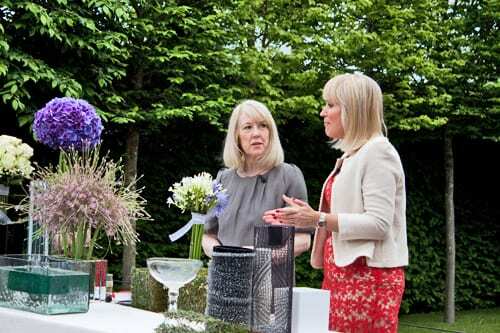 Gillian Wheeler is the Principal of the Academy and on Wednesday, she appeared on the BBC creating a floral design with TV presenter Nicki Chapman. 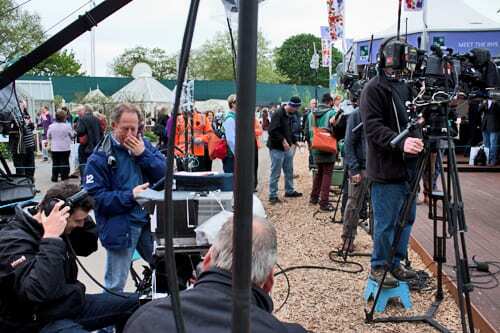 Three TV cameras were used to film the three minute slot which was pre-recorded just before it went out on air as part of the lunchtime show. 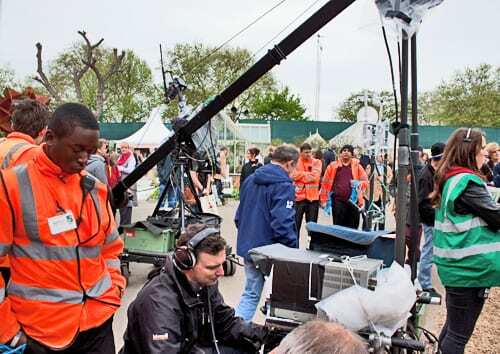 Whenever filming is taking place at Chelsea, you always find a crowd of onlookers. It’s just so interesting to see how a TV programme is put together. 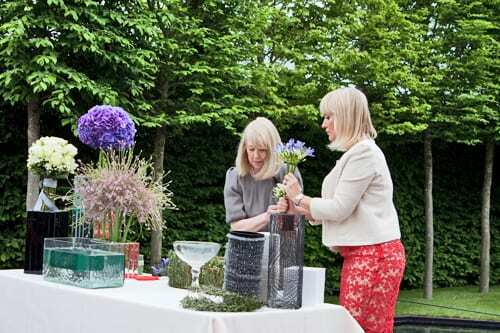 Many congratulations to Nicki on becoming Patron of the National Association of Flower Arrangement Societies (NAFAS) this week.